Today Crissy and I hosted a surprise birthday party at my house for our mom. We had a great turnout for the party. We invited family and friends and had a great time on the deck and in the yard. We had such a good turnout that we had to start parking cars in the field. The weather worked out great. It was a beautiful, clean day with a perfect warm temperature. We would have never been able to fit everyone in the house if it had rained today. Mom was very surprised when she got out of the car and saw all the people that had come to wish her happy birthday. She cried as she gave everyone hugs. Cards. Gifts. Food. And good times with friends and family. Sharing stories and catching up with one another. Thanks to everyone one that came. I know Mom really appreciated it. 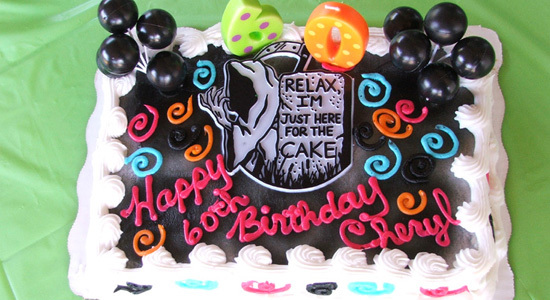 Click here to see all of the pictures from Mom's 60th Birthday Party.